Left to Right – Summer Breeze, Marine, Kiwi Flower, Lotus Flower, Humming Bird, Tequila Sunrise, Sand Walker, Washed Ashore, Sunset, Green Iguana, Purple Haze and Magenta Madness. I thought this palette was so gorgeous with some colours that are a little bit scarier than I’d normally go for but are also totally wearable! As with most pre made palettes, there are a few colours which I probably wouldn’t wear but they are only the first blue (Summer Breeze) and maybe the hot pink (Magenta Madness). I’ve already used half of the colours in the palette and I’ve only used it a few times. 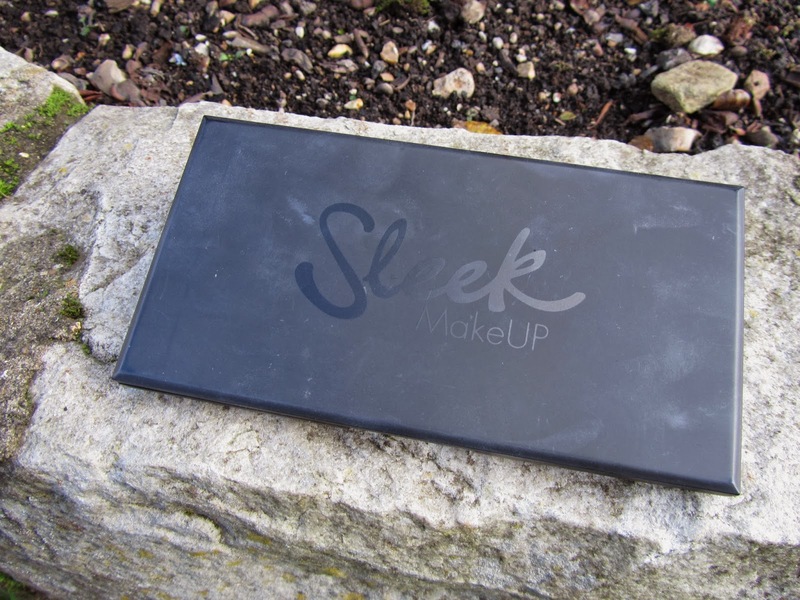 As with all of sleeks products – those which I have tried at least. 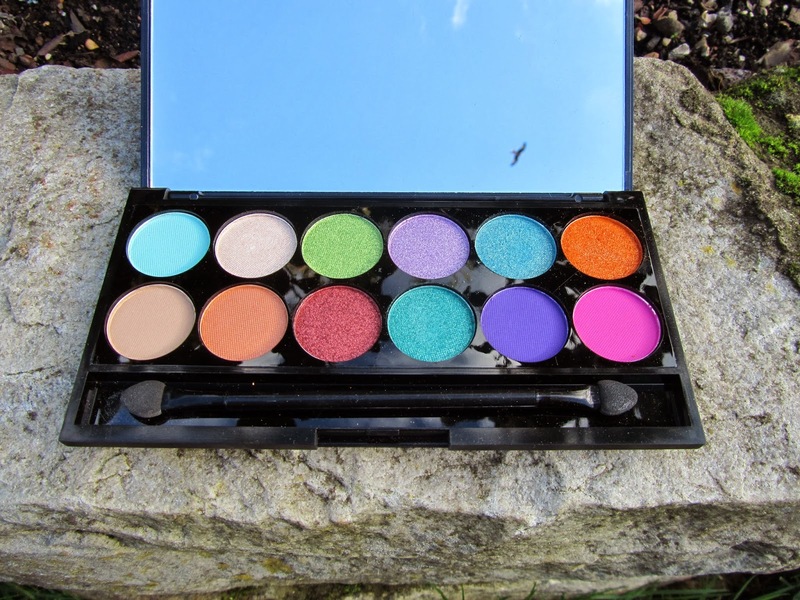 The pigmentation is amazing and the colour pay off and staying power is pretty impressive. The products are high street and very affordable (This whole palette was £7.99. Click here to buy!) which makes the quality so much better, and they were good to start with. Not only is the pigmentation great but they blend beautifully, no tugging at the skin whatsoever. They look seamless when applied with a brush. I used some of the colours on my lower lash line with quite a fluffy brush and was surprised at the amount of fall out, or lack of it. There was a bit, but that is to be expected, especially with a fluffy brush. 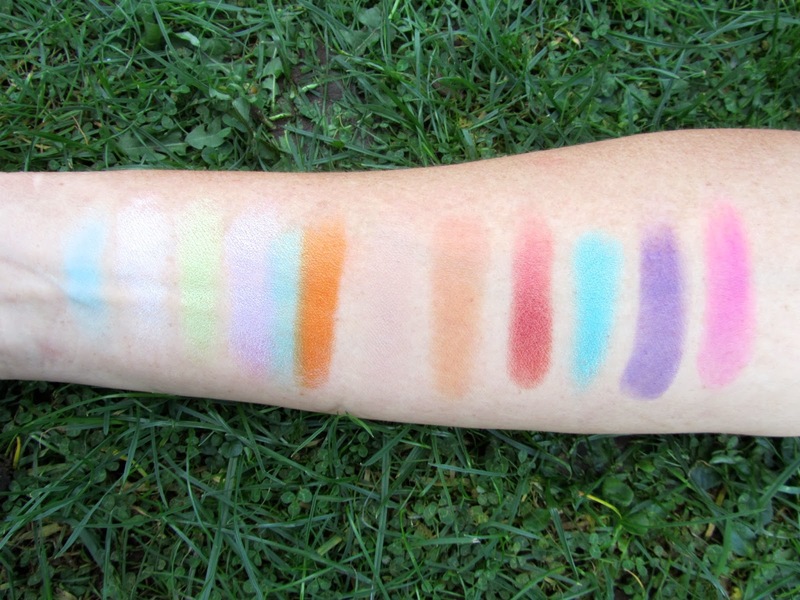 I thought I’d get some swatches done for you, they aren’t the best and they don’t do the shadows credit. The first 5 or so, don’t look very pigmented in this photo at all, but they really are so beautiful, they are just quite iridescent so they don’t show up as well. Oh I love love love these bright, fun shades! This is so fun! I love the bright colorful colors!